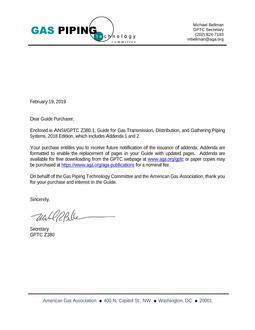 2018 Guide for Gas Transmission, Distribution and Gathering Piping Systems contains federal regulation and guidance updates. The updated guide contains U.S. 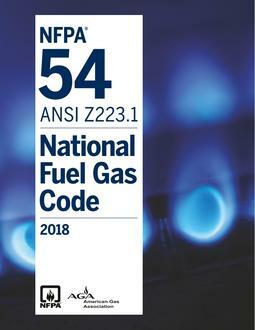 DOT Pipeline Safety Code Title 49-Part 191 and Part 192, plus guide material prepared by the Gas Piping Technology Committee Accredited by the American National Standards Institute (ANSI). Future addenda will be available for free downloading from the GPTC webpage at www.aga.org/gptc.